Liverpool FC and Standard Chartered are bringing Reds around the globe even closer to Anfield through 'Inside Anfield'. 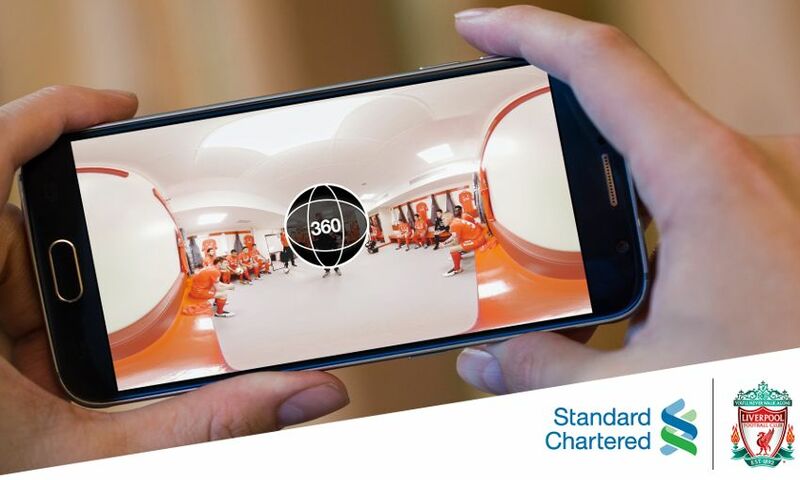 Launching ahead of the club’s first home game of the season against Leicester City, a unique virtual reality experience will be available to fans as part of Standard Chartered’s ‘Football Is Better Together’ sponsorship theme. The VR experience includes a never-before-seen view inside the players’ dressing room, allowing fans to see through the eyes of a player and feel what it’s like to be part of a Jürgen Klopp team-talk. The content puts the fan in the players’ shoes, giving them a unique insight into the team’s inner sanctum in the build-up to walking out in front of the home crowd at Anfield. Saturday’s game is, of course, the first ever fixture to be played in front of the club’s redeveloped Main Stand. And Standard Chartered’s Virtual Anfield will be on-site at the stadium for match-going fans to enjoy, as well as launching on the club’s global Facebook page at www.facebook.com/LiverpoolFC and on YouTube below. LFC has millions of fans all over the world and this virtual experience, which was shot using 360-degree cameras, will give fans that may never have the opportunity to visit Anfield the closest experience to really being there, including hearing fans sing the famous ‘You’ll Never Walk Alone’ anthem. Club ambassador Robbie Fowler and legend John Barnes also feature, taking fans with them on a special Anfield journey. This is just one element of the activity Liverpool FC and Standard Chartered will deliver throughout the year to bring Reds fans across the globe closer to the club.